With businesses becoming ever more global, people moving more frequently and working internationally, and remote teams becoming more commonplace, managing a culturally diverse team is necessary for most managers. Culturally diverse teams bring many benefits and managing such a group can be a rewarding experience, however it does bring with it, it's own set of challenges. Being aware of some of these challenges can help a manager be more effective in managing his or her team. Despite the multi-cultural world that most of us live in, there does exist in society stereotypes and preconceptions of various cultures. Stereotypes are often outdated and incorrect; people come from a variety of backgrounds and it is important that, as managers, we do not engage with our staff with any preconceptions. Managers should also ensure their staff do not treat colleagues with any such stereotypes. What may seem harmless to one person can be offensive to another. It is easy to assume that, because someone is working in a particular language, they are comfortable and find it as easy to communicate as the rest of the team. Even the most talented of linguistics can sometimes have difficulties expressing themselves correctly and it is easy to make misinterpretations. Misunderstandings do happen, even between people that speak the same language (such as from England and America), therefore always clarify that you have understood the person correctly if you have doubts. There are many small differences in behaviours between cultures. Most are simple and once known can be appreciated as ‘ways of a culture’. However if you are not aware of these they can sometimes cause offence. For example, in some countries it is polite to greet people the first time you see them, but not if you see them again as this signifies that you have forgotten your first greeting. However in another country it is polite to greet a person each time you see them. If this isn’t understood you can see how simple it can be to create offence. You can't always be aware of every nuance of a culture however tolerance is helpful. It would be great to believe that discrimination does not exist, however sadly it is still apart of society. As managers, it is important that we set an example where all employees are treated fairly and equally regardless of race. Managers must also be aware of any discrimination that may be occurring within our teams. Sometimes this may not be overly obvious, but it can be subtle behaviours, such as the exclusion of someone from the team, or negative reactions to a person for culture reasons. This still constitutes discrimination and cannot be tolerated. 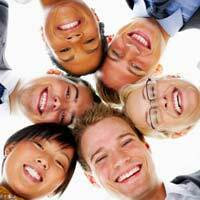 Having a culturally diverse team has many positive aspects. It has the potential of generating ideas and solutions that are result of different people, with possibly diverse approaches and varying opinions, coming together. Team members can contribute different experiences and knowledge, and the group can benefit from a variety of perspectives. Encourage the team to be open to new ways and approaches; the same or old ways aren't always the best ways, and the most effective teams challenge and always look for ways to improve. Managing a culturally diverse team has different challenges to other teams and as a manager it is important to be aware of these. Management sets an example that discrimination of any nature will not be tolerated. Encourage the team to take advantage of the variety of different experiences and perspectives in the group. While there are differences, the team share a common goal and appreciating everyone in the team for what they contribute will promote a positive working environment.